Having a gorgeous white smile doesn’t come without a single effort. Proper dental hygiene is the only way to achieve a healthy oral cavity. A lot of people are not educated enough on what they should be doing as a part of their regular oral hygiene. Others, simply ignore the tips they get or read. If you decide to follow the simple advice below, you will find that dental hygiene is not as complicated as you previously thought. Brushing and flossing are the two basics everyone has heard of, but do you really know how, why and when to do it? These tips will give you a very detailed look of what you should be doing to keep your oral cavity healthy at all times. It will save you both time and money. Dental procedures tend to be expensive, so why to expose yourself to additional costs, when you can prevent any conditions from happening. Check out the dental hygiene tips and start practicing them for a great mouth health. 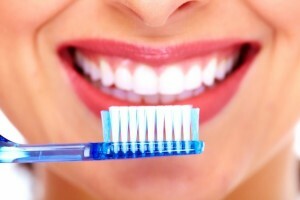 The first tip for a wonderful and healthy smile is, of course, brushing your teeth. But simply brushing them won’t always do the job. It is very important to know that you have to do it at least twice a day. What most people do is brush their teeth in the morning and at night, before going to bed. Dentists strongly advise that you should also practice this routine after every single meal in a day. The recommended time to spend on this action is at least two minutes each time. If you have trouble brushing for two minutes, you can improve that by selecting a song to listen to, or watching a video while you do it. It is as simple as that. Having clean teeth will spare you time and money. First of all, you will save up on dental restorations, which can be quite costly. Also, you will spare yourself from scheduling visits and also painful experiences. The main reason for decay is the plaque. Plaque consists of food debris, bacteria, dead cells and more. It sticks to the surfaces of both teeth and gums. If you don’t brush teeth thoroughly, that plaque can lead to caries. The bacteria present there will create acids that damage the enamel and dentin. That is how a lot of people have decayed teeth, or some even lose theirs. Dentists say that brushing teeth at night is more important than anything else. Although most of us think that making it a habit in the morning is crucial, this is completely wrong. Going to bed with a clean mouth is definitely of primary concern. Before you go to sleep, if there is a lot of plaque left on your teeth, plus your mouth is closed, bacteria will thrive. That is why the chances of getting decay are much higher if you don’t brush at night. This doesn’t mean that you should skip the morning part. Simply brushing your teeth won’t do it. You have to make sure that you’ve mastered the right technique. Plus, another very important thing that people forget is to wash the whole mouth. Plenty of individuals out there focus on teeth, without being aware that every single inch of the mouth can store bacteria. This includes the tongue, gums, the roof, area below the tongue and more. It is especially important to explain this to young children. If they figure out the basics of a clean oral cavity they won’t have a problem with any type of oral conditions or diseases. The brushing technique is very easy to learn, all you have to do is follow the instructions. If you prefer visual aid, you can always check out a YouTube video that shows you exactly how to do it. The first thing you have to do is to forget about brushing horizontally. This is the worst thing you can do to your teeth. Also, harsh movements are definitely a thing you don’t want to do. Place the toothbrush with the bristles at a 45-degree angle to the gum line. Once the bristles touch the surfaces of the teeth you can continue with up and down movements. That way, you completely remove the debris and food particles. Bush both the frontal, oral and occlusal surfaces. You need to get a special brush for your tongue as well. No work is done without the proper tool. The same thing goes for oral hygiene. One of the most important steps of keeping your mouth and teeth clean is choosing the right brush for you. There are different sizes, different shapes, and softness of bristles. To find out more about what exactly you should use, make sure to talk to your dentist. Dental professionals are the best person to ask and get the full explanation to all your doubts. For example, if you use a brush with hard bristles, and have a bad technique, you can cause abrasion to the surfaces of the teeth. This is just one of the reasons why you should inform yourself to have the best possible oral hygiene. Flossing is just as important as brushing. Most people avoid doing it, and that’s where their whole routine goes wrong. Every single dentist that you’ll visit will give you the same advice- floss daily! The surfaces facing other teeth and the spaces between teeth cannot be cleaned with just brushing. That is why every single person out there has to use floss. Just like with brushes, there are many different types of floss. Using it with the proper technique will help you remove the food residue in between teeth. Caries located on those surfaces are among the most common ones, so regular flossing will definitely help you keep the whole oral cavity clean and decay-free. 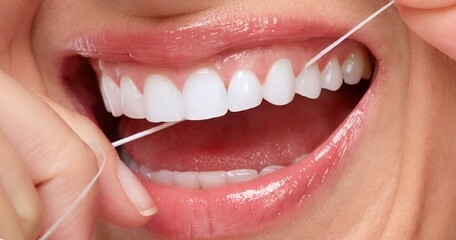 All you have to do is get a piece of floss with the approximate length of 20 inches. For each tooth, you have to use a clean portion of it. There are also floss holders that you can use to help you out until you learn the proper technique. This will leave both your teeth and gums perfectly clean. Visiting the dental office at least twice a year is crucial for good oral health. One of the most important dental hygiene tips you’ll ever receive is that you have to regularly visit your dentist. During each check-up, the dentist will let you know about the current situation of your whole oral cavity. This means every single part of it, including teeth, tongue, gums, and so much more. They will also advise you on the things you should be doing better. For example, if the dentist notices plaque, they will help you out with the brushing technique. If there is caries located on the approximal surfaces, that means you should be flossing more often. Sometimes the dentist will ask you to schedule more frequent check-ups due to certain conditions. Every single dental procedure is expensive, so why spend money when you can prevent things from happening. A balanced diet can have a huge effect on your oral health. There are so many foods that are good for the teeth, and many more that should not be on your shopping list. You are already aware that sugar is the worst thing you can do for your dental health. It is the primary source of food for bacteria that live in your mouth and that cause caries. They take the sugar and transform it into acids, which damage the dental substances. That is the main mechanism of how decay occurs. So, this doesn’t mean that you should completely quit foods that contain sugar. But, you should definitely be careful with the intake. Raw and hard healthy foods are always a good idea, since they stimulate the salivary flow, plus provide a mechanical cleaning of the teeth. This group includes vegetables, apples, cheese, nuts and more. Also, your diet should be rich in vitamins and minerals, since teeth are mostly made of minerals. These ingredients are beneficial for the overall health of the mouth, not only teeth. Fluoride is another mineral that you want to include in what you eat. It strongly helps in the process of remineralization of teeth. In other words, if there are initial lesions of caries, that have lost a part of their mineral content, fluoride can help to bring back the minerals and stop the process from progressing further. Avoid taking fluoride supplements without consulting your dentist first. Food can be very important also if your goal is to have whiter teeth. Carrots, strawberries, oranges, broccoli, onions, and apples are just a part of the choices that can whiten teeth. When it comes to citric fruits, you should be very careful. Because of the acids, they can cause erosion and abrasion if eaten in large amounts. Sticky sweets and foods tend to stay stuck to the surfaces of teeth, so you should definitely avoid them. Make sure to always brush your teeth after a meal that contains sticky foods. Sodas are full of sugar, which means they are no good for your oral health. They also contain phosphorus, which if you overdo it can cause damage to the dental tissues. In other words, bubbly drinks can do no good for your oral health. Dental hygiene doesn’t only include brushing and flossing. It also focuses on many other things that you should and shouldn’t do if you want to protect your mouth. Alcohol and coffee are not the best choices as well. Both of these can color your teeth and alter the natural shade. This doesn’t mean that you should completely avoid these drinks. Instead, have them in moderation, or choose to drink them with a straw. 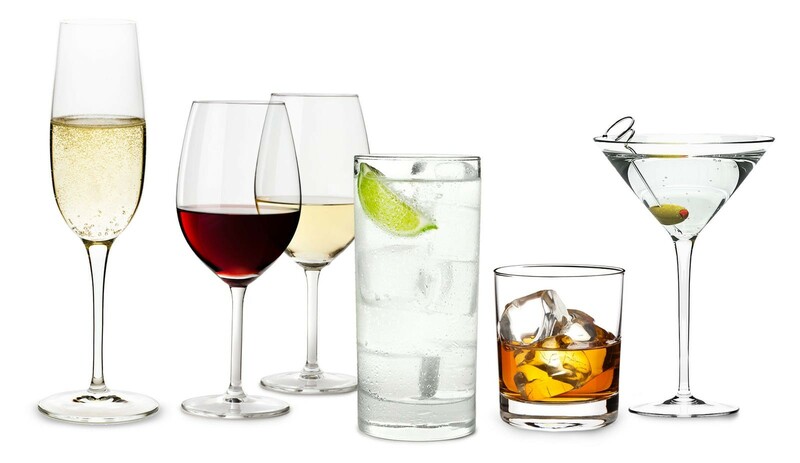 That way you avoid a direct contact between the drink and the surfaces of teeth. These days there are so many different products on the market to help you out with good oral hygiene. 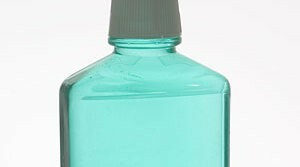 Just like floss, mouthwash is an essential one, every single person should own and use. It is meant to provide a clean oral cavity and destroy the harmful bacteria that was not removed with brushing or flossing. It is a very helpful liquid that only improves the dental hygiene on so many levels. It protects both the teeth and the gums. There are so many different types with different smell and function. You can choose what you need the most help with. If you have any doubts, contact your dentist and you’ll get the help that you need. There are certain habits that can really affect your oral health. We all know that drugs, alcohol, and tobacco are the worst possible habits that have a very damaging effect on your overall health. Aside from those, there are certain ones that directly damage the oral cavity. Some are thumb sucking, biting nails, tongue-thrusting, and more. Avoid opening things with your teeth. Snacking is another habit that you must deal with. This is especially important at night after you’ve brushed your teeth. 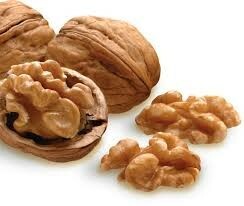 Snacking on healthy things such as nuts, seeds, vegetables or fruit during the day is completely fine. But if you always opt for chips and sweets, you should definitely try and change that. If you go to sleep right after snacking, you are providing bacteria with plenty of food during the night and are exposing your teeth to potential decay. Dentists recommend changing your toothbrush with a new one frequently. Once you notice that the bristles are curved you should immediately buy a new brush. This means that it is not brushing your teeth with the efficiency it is supposed to do it with. You don’t want to engage additional force with your hand, because you can do damage to the dental substances. Properly washing and storing the toothbrush is another moment that most people are not doing right. If you are always covering the part with the bristles with a cap, stop doing it. According to scientists, this causes bacteria to multiply even more and you are not actually protecting the brush. Rinse it very well after brushing and let it air dry. Two to three months is the period when you should buy a new toothbrush. If you notice that it’s not doing the job before that period, make sure that you change it anyway. You will notice a huge difference.